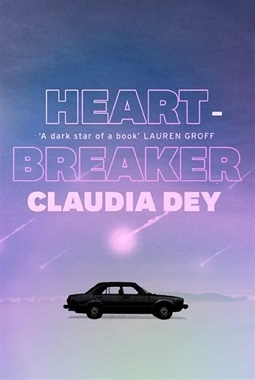 I finished reading Claudia Day’s Heartbreaker over a month ago, but needed time to process the story before writing a full review. Over the past few weeks, though, I still haven’t fully processed everything that happened in this story. This might seem annoying to some people—not experiencing that sense of a complete story—but I’ve come to accept that’s part of what makes books so intriguing. So what is it about Heartbreaker that left me feeling lost for so long? Honestly, I don’t even know where to start. It could be the fact that I’m still not sure when this book is supposed to take place. Was it in the 80s, or perhaps closer to present day? Why is the community so isolated, with little to no idea of what is happening elsewhere? Why are the families so eerily connected? And why are all of the teenagers forced to give blood multiple times per week? Everything about the story, from the setting to the main characters, just seems off. At first it’s confusing, but then you realize it’s because Pony (the main character and first narrator we meet) was born into a cult. That’s right, you better be ready for one wild ride with this book! Heartbreaker is broken up into three parts, each told from a different character’s perspective. It tells the story of how Pony’s mother, Billie Jean Fontaine, has gone missing, and the community (referred to as The Territory) is trying to figure out what exactly happened to her. It jumps back and forth between flashbacks and the present, and forces the reader to piece together the story while slowly peeling back the blinds on this tiny community. The first part of the book is told through Pony’s point of view, but the second part gets a whole new set of eyes. The transition is a strange one, as the next section is told from the point of view of Billie Jean’s dog. I’ll admit I’m not usually a fan of books told from the point of view of animals—I read Fifteen Dogs by André Alexis for a book club and hated it—but I actually enjoyed this section of the story. The dog’s perspective was quite unique, and added information to the story that you wouldn’t otherwise get from a human character. The third and final part of the book is told through the point of view of Supernatural, one of Pony’s friends, who is an older boy in The Territory. Many of the girls have a crush on him, and I promise, his story will deliver a plot twist you’d never expect. I’m not quite sure what genre to classify Heartbreaker as, but I do know it was good. At times I wasn’t entirely sure where the story was going, or what exactly was happening, but I knew that I had to see the characters through to the end and find out as much as I could about The Territory. It’s an eerily enchanting story that you will either love or hate, but I believe it definitely deserves a spot on your TBR. Heartbreaker was published on August 21, 2018, and is available wherever books are sold. Thank you to the publisher for an electronic copy of this book via NetGalley.